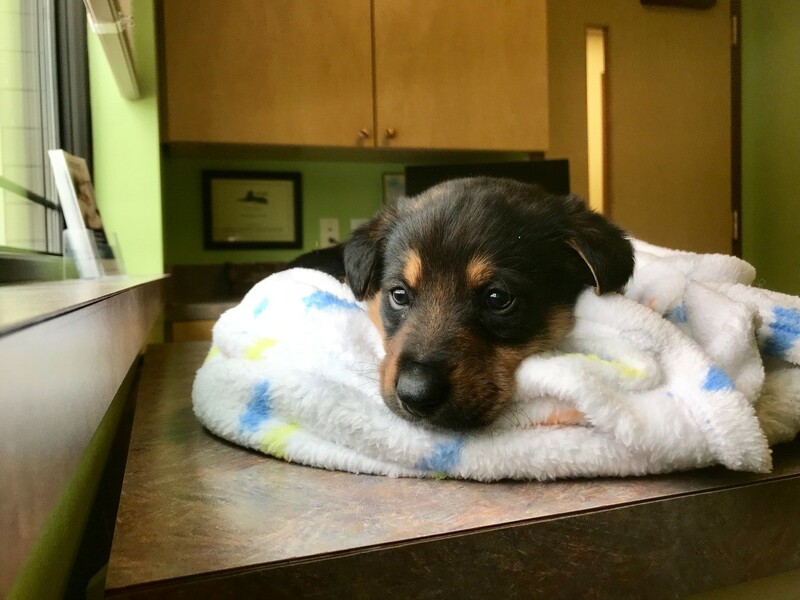 Although a genetic test is the best way to accurately define a dog's breed there are physical characteristics that can help distinguish between a pure bred and mixed breed pup. 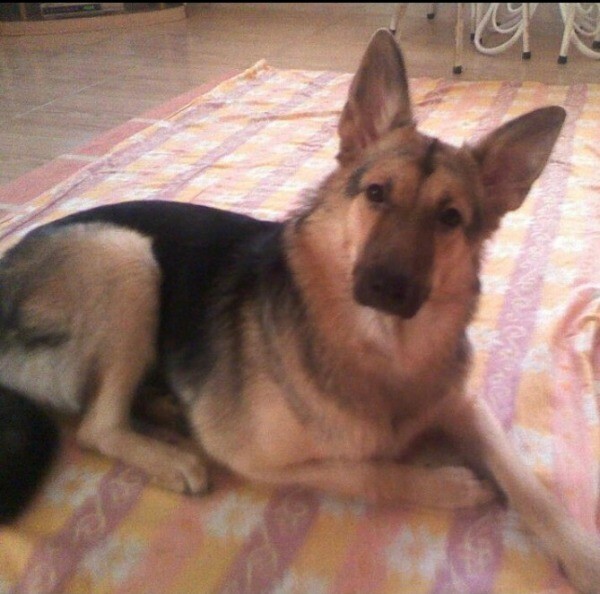 This is a guide about, "Is my dog a pure bred German Shepherd?. Question: Is My Dog a Pure Bred German Shepherd? 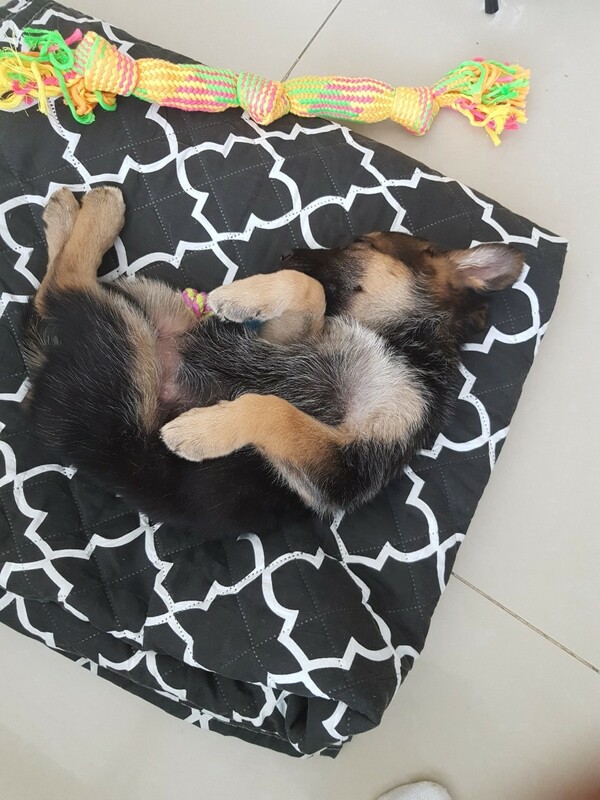 Recently I got a GSDd puppy. Does she look purebred to you guys ? 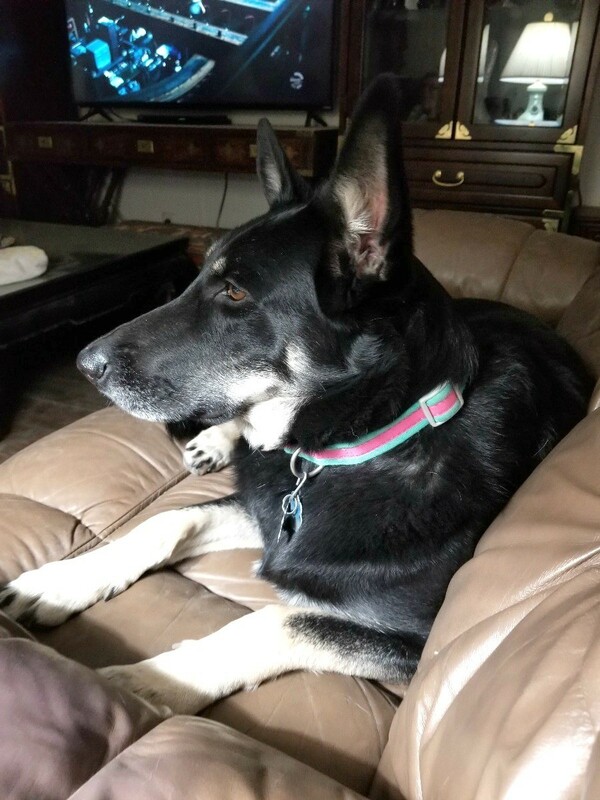 I know you can't really know without papers, but the only papers the breeder got are medical papers that say both parents' breed is German Shepherd. Do you think it can be trusted? The way to find out is if you know the puppy's sire and dam(father and mother), or the previous owner tells or gives you the names. They should be listed in on the pedigree. 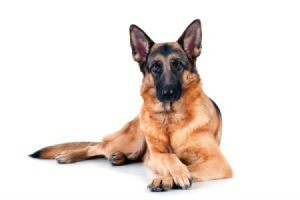 After you have the names look up AKC German Shepard pedigree service. My parents did that work along with breeding, training, and showing shepards and Flat Coated Retrievers. You might find their dogs listed if you go back to the 70's. Her name is Myxa and I got her from someone who told me that she was a purebred. She runs alto and is very protective, loves to eat, but eats less than our purebred male does. She stands with her back leg out and her other leg in like our male. She loves to bark at strangers. I am not a vet but we have had four G/S and your dog certainly looks like a pure bred G/S. Of course without papers no one can prove it. Our four did not have papers and looked like yours. She is also beautiful! Congratulations. You will have years of wonderful companionship with one of the smartest breeds there is. Just remember, she is a very smart human in a fur coat. Question: Is My Dog a German Shepherd? 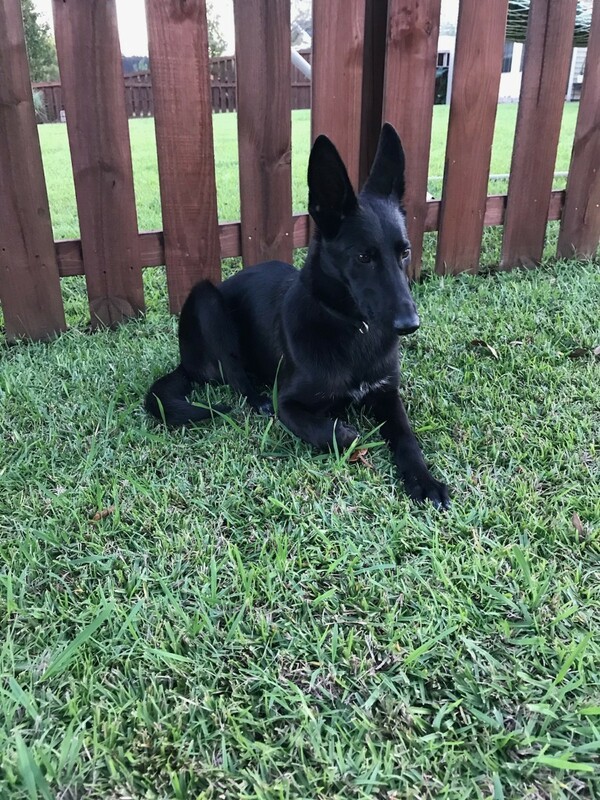 The rescue place said she was pure bred Black German Shepherd, but she has big ears and a long nose. Also, she has a lot of white spots on her chest, arm pits, back, and hind legs. She doesnt look purebred. You can always do a DNA test if in doubt. Just by the photos and what you can see in them, your dog is not a real pure breed. I think they were just guessing on the dog's breed like we will be guessing too. 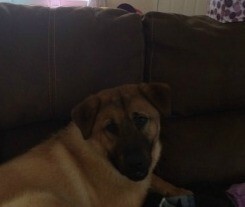 She is a mixed dog for sure and does have some Shepherd and maybe some Lab or another breed in her. It is so hard to really tell by the photos. sometimes with a very young dog she will grow into her features. Pups's ears will sometimes come out long but then the rest of her will catch up with her. You dog certainly has the ears of a German Shepherd and the hips, and she tucks her front paw under, as for pure bred it is hard to say until she grows as little older. if you are taking her to the vet you can have a DNA taken and get the results if it is really important to you to find out. Otherwise love your dog for what she is, and she certainly is beautiful. 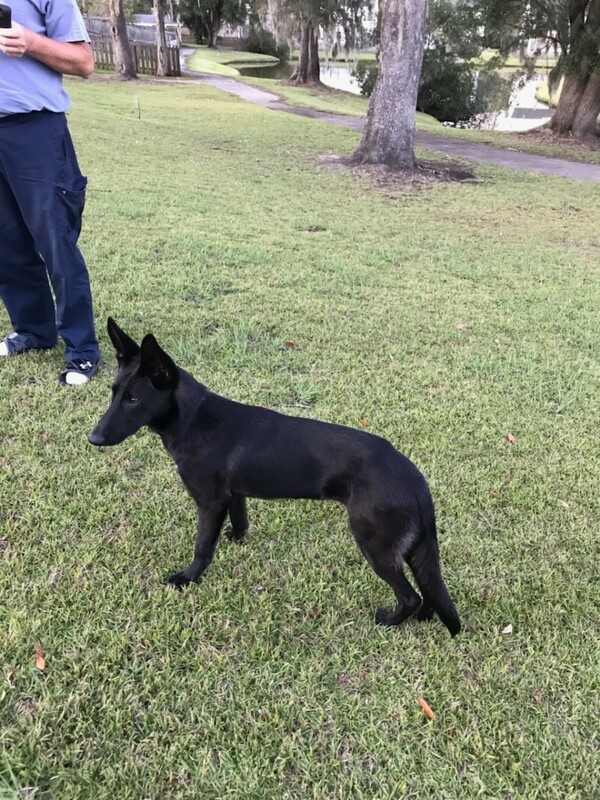 Your dog looks to me like a black Malinois. They are often mistaken for german shepherds. They are lighter weight than GSDs, but similar in many ways. They are the preferred breed for police dogs. Question: Is My Puppy a Purebred GSD? 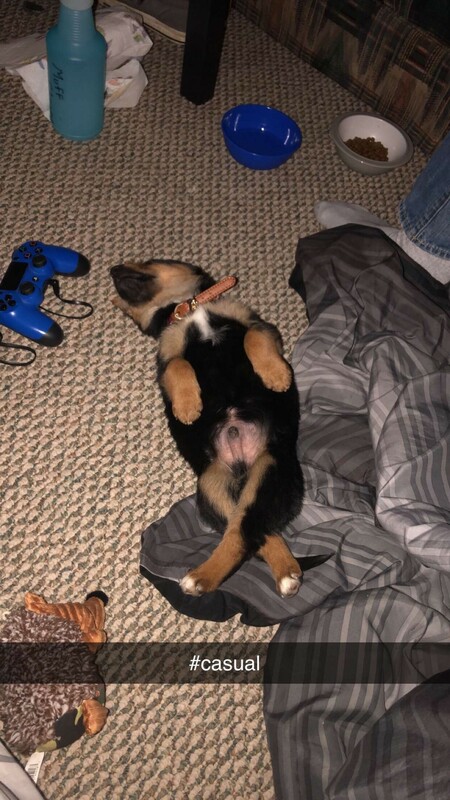 I recently purchased a puppy at 6 weeks old and I was told he was a purebred. The owners were just going to abandon him and let him die after the mother rejected the litter at 2 weeks. Someone else took him and then I bought him from them. All I have to go off are looks. If he is not a purebred I am at least hoping he's mostly GSD and his ears stand up! 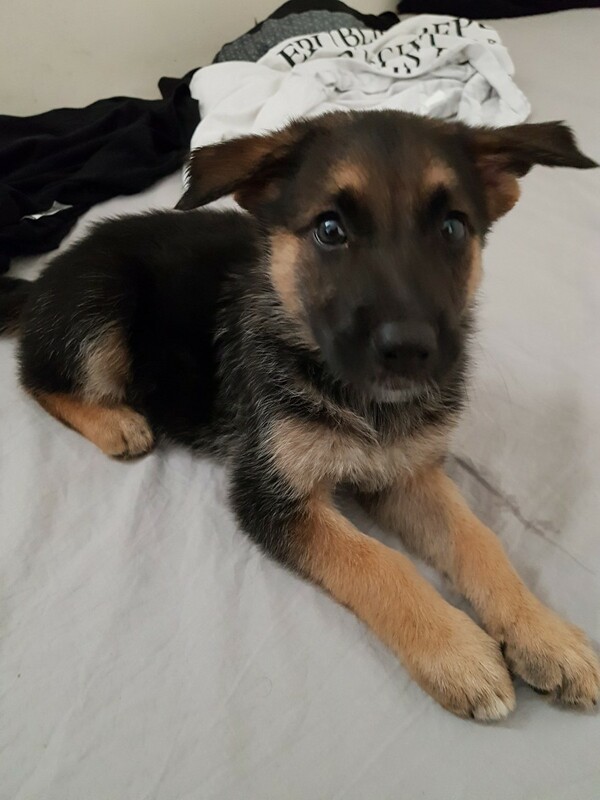 The lady said she was a German Shepherd. She was 10 months old in this picture. The lady couldn't keep her, so I took her in. Do you think she's a purebred or a mix? She looks purebred to me. You can always do a DNA test to be certain. This is a very hansom dog and it looks very much like a German Shepherd. However, if you would like to know if the dog is a pure breed or not the only way to tell is through a dog DNA test. You an purchase the test online and preform the test at home. Otherwise, when you take the dog to the vet, ask them to do a DNA test. Then you will know for sure if your dog is a pure breed or not. My family (mostly brothers) have always had German Shepherds and their ears are very outstanding - just like your baby's. DNA tests are getting very popular so I'm hoping the cost will fall soon as the test kits now cost $50 to 200 dollars but most of them are very accurate. Test kits are sold at most pet stores, on line and from your vet. If your baby is due to see her vet anytime soon you can always ask their opinion about the breed. 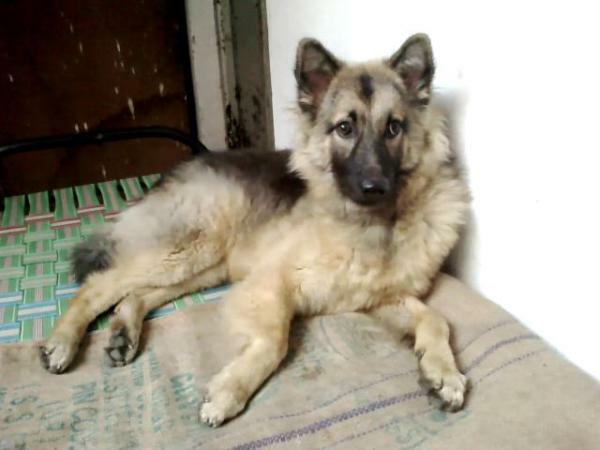 Of course, they cannot actually tell by looking if she is pure bred but they have a lot of knowledge about breeds. Here is a link about DNA testing and also an example of a test kit for sale but there are lots of places to purchase these kits. Question: Is My Dog a Full Blood German Shepherd? 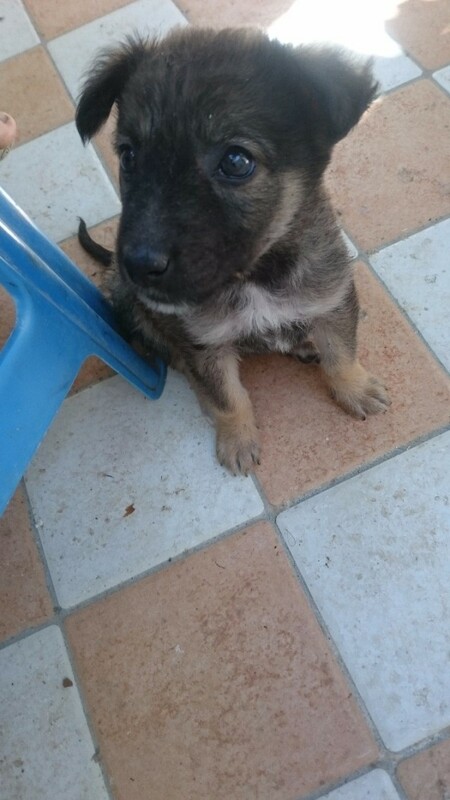 Is she a German Shepherd or a mix? Her nose looks kind of long for a purebred. Question: Is My Dog a Purebred German Shepherd? Is my dog a purebred German Shepherd? She has a light coat and short hair. I'm no pro, but was just wondering. Question: Is This Dog a Pure Bred German Shepherd? 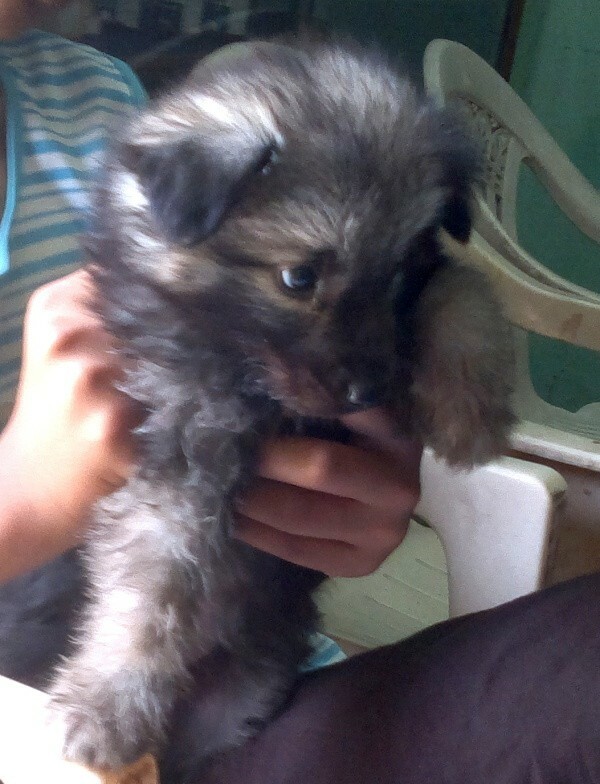 My dad's friend has a black German Shepherd who gave birth and he said he was gonna give me this puppy. 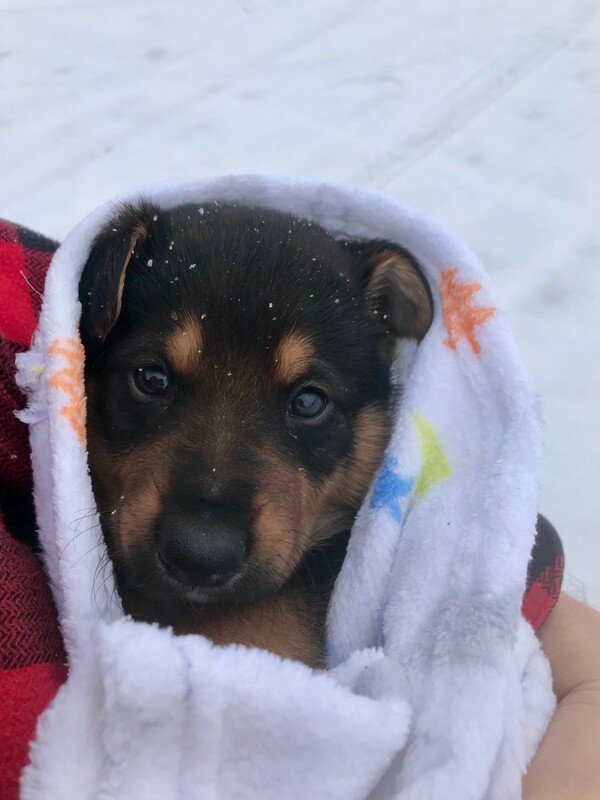 I really want a purebred German Shepherd and this one has some German Shepherd features, but he doesn't look like German Shepherds his age (5 weeks old). I'm suspicious because I don't know what breed the father is. This looks like a German Shepherd mix, not pure-bred. Are there any papers? If not, you may have to do a DNA test to find out for sure. His name is Bruno and I got him when he was 1.5 months old from someone who told me that he was a purebred GSD. Now he is 10 months old. He runs a lot, is extremely energetic and fun loving, but is very protective. He loves to play fetching and tugging. He is not food oriented and eats small quantities. He is extremely intelligent and barks at strangers for few minutes and when he has confirmed that things are safe then he will start playing with them. He looks like a pure breed long hair German Shepherd. I agree, he looks like a long hair shepherd. We recently rescued our 5th G/S. Wonderful breed. Question: Is my Dog Purebred German Shepherd? Does my dog look like a purebred German Shepherd even with the floppy ears? We got him from the shelter. They said he was a German Shepherd, but someone shaved him. 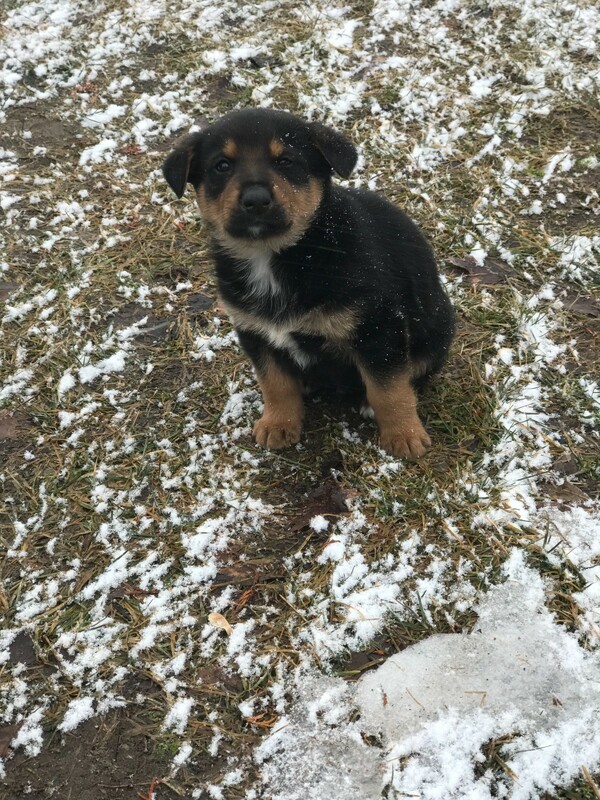 I'm just wondering if he could be mixed with anything. 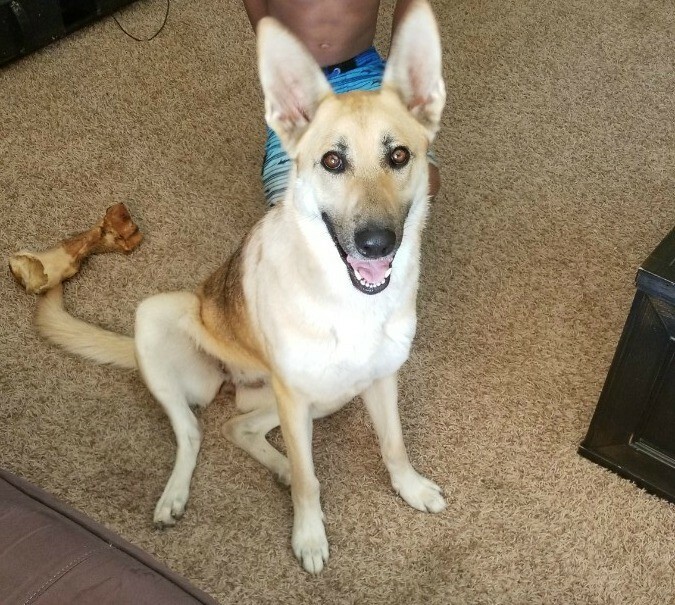 I agree, it does not have full German Shepard markings, and is ears should be standing up.